Green-Wood is teaming up with our friends at Kings County Distillery to delve into the storied past of distilling in Brooklyn. The afternoon kicks off with a trolley tour of the cemetery’s “permanent residents” with whiskey connections, including the one and only casualty of the Brooklyn Whiskey Wars of the late 1860s and early 1870s. Afterward, the trolley will head to Kings County Distillery in the Brooklyn Navy Yard where visitors will see first-hand how whiskey is made and enjoy a tasting of four delectable varieties. 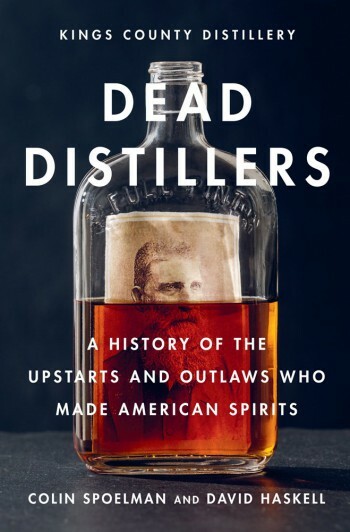 This tour is based upon the newly published book “Dead Distillers: A History of the Upstarts and Outlaws who Made American Spirits” by Colin Spoelman, co-founder and Master Distiller at Kings County Distillery. Copies of the book will be available for purchase at the distillery. You must be 21 or older to participate in this tour; I.D. required.